We are excited to welcome two new members to the Bizspace team – Business Centre Managers Rebecca Rainford and Tom Harrowell. Rebecca, 23, is responsible for our Bradmarsh Business Centre in Rotherham, while 34-year-old Tom is managing our Calderdale Business Park in Halifax, as well as Dudley Hill in Bradford. The pair have big plans up their sleeves to create a vibrant and prosperous work environment for customers at each site. Former health club sales manager Rebecca will be using her passion for property to create a friendly community atmosphere in Rotherham. “This is a childhood dream come true for me as I have always wanted to work in property,” she says. “My previous job was fundamentally about ensuring the needs of customers are met and this role will be using similar skills, but in a different environment." One of Tom’s first projects at Dudley Hill is to oversee the launch of a specific start-up space, designed to meet the needs of new and small businesses in the area. 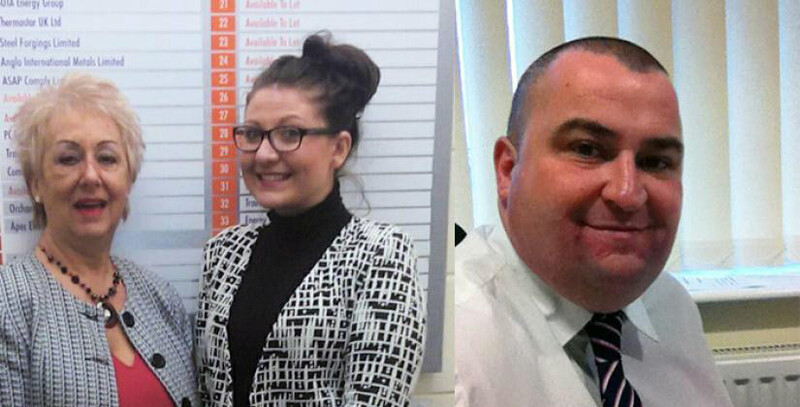 Sales and Marketing Director for Bizspace, Emma Long, says she is delighted to welcome Tom and Rebecca to the team. “They are two people who very much share the Bizspace values and will be working to create productive business communities for our customers to enjoy,” she says. Search to find a space near you.